ArcStone's coffee is the bomb.com. I look forward to my morning cup – made with freshly ground local beans with our stellar Jura espresso maker – perhaps more than I should. However, working in the creative world, sometimes you need to get out and about, switching up your space. Whenever I find a new Minneapolis coffee shop, I share my excitement with coworkers. We often trade recommendations and geek out about what made the space so ideal. So, on this sunny Friday, I thought I'd share a few with you... cheers! Must try: Lavender Latte - the "Spygirl"
I love their focus on interior design. The shop is filled with vintage furniture sort of piecemealed together, lots of warm walnut wood, eclectic music and (my favorite part) conversations among creatives. On a nice day with their doors open, I feel I've escaped to a alleyway cafe in Europe. Must try: Their drip coffee of the day with creamer - somehow this creamer goes beyond expectations... Must be the cows. And their Peanut Butter Chocolate Chip Hollybars—they're like Reese's Peanut Butter Cups, but more substantial. It has a super friendly atmosphere. Set right outside the hustle and bustle of Uptown, it feels like a secret haven. It also manages to feel outdoorsy, like you're in the North Woods. They have strong coffee, fun energy, lots of people networking and a collaborative-community environment. Neighborhood: Calhoun Village Shopping Center, 3220 West Lake St.
Their chocolate chip cookies are hands down my favorite. I wouldn't work or study here, but I would definitely come for a break and a cookie! I go here almost every day before heading into the office to get some work done. Best part is the fire and chairs surrounding for reading. Good spot for meetings as they have a nice parking lot that's easy to get to. Neighborhood: Whittier, 26th & 1st Ave. They're called a slow bar, which means they basically take coffee as an art. Plus, they're new! Probably one of the most Instagrammed places in Minneapolis. It's a great space. It was opened by the guy who owns Phillips Vodka. They have food too – crepes! Neighborhood: East Lake, 40th & East Lake St.
Must try: "They have the best espresso in town, so bright and tart I love it." They were really the first to give a damn [regarding Minneapolis coffee] and do so carefully. Their baristas are paid well, and they provide education classes. I've never had a bad time there. The Miel is delicious. They also have a spicy Freddy Mercury that my wife, Lisa, loves. 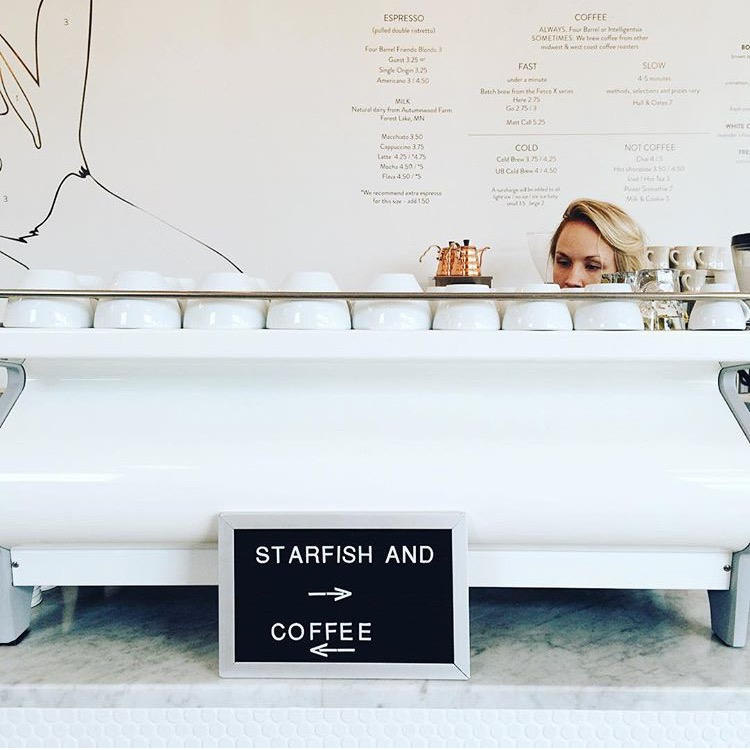 Minneapolis may not be the biggest city, but you definitely have plenty of choices when seeking a spot for a good ambiance and strong, delicious coffee. P.S. ArcStone provides FREE coffee to all of their potential or current clients. Set up a meeting with us and we'll sip coffees while we talk strategy for most things digital – marketing, design, development.